On Saturday, July 12th, my royal sisters and I attended the . Before the parade, all the visiting royalty met in a room at the community center and shared stories and had some lunch. 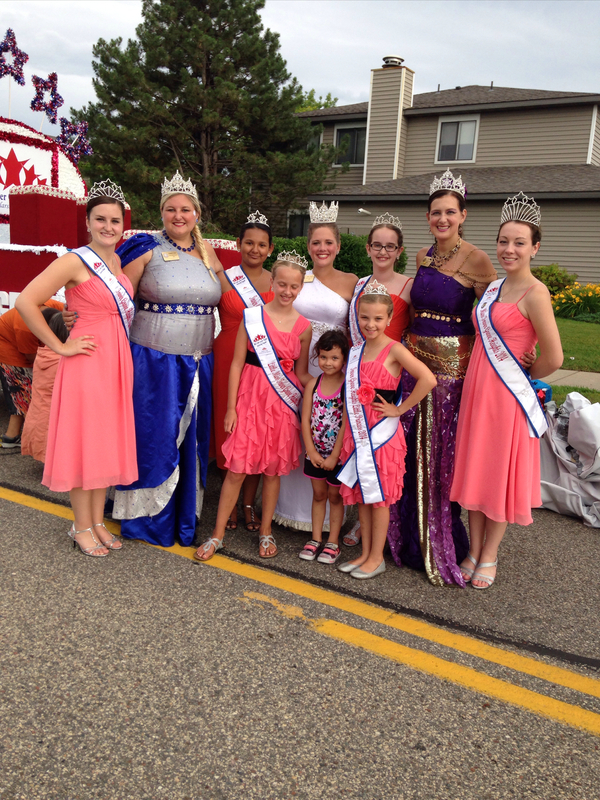 While we were at this pre-parade event, we met the newly crowned royalty and took lots of pictures. After that, it was off to find our parade float! Once we found it we socialized a bit with other royalty and parade entrants. It was quite a hoot to see all the interesting floats. Once the parade was underway, we waved to the bystanders and did our chair dances for everyone to see! Considering the day started out one a really “wet” note, it cleared up in time for a nice sunny event!! I think I speak for all of us when I say we had a good time!